The DSC Ethos An institution, by definition, is a creature of its own environment. It makes its contribution in relation to the needs of society both for today and for our tomorrowâ&#x20AC;&#x2122;s. Global society has thus far progressed from being manual works to knowledge workers and today, we witness a transition from knowledge to information workers. 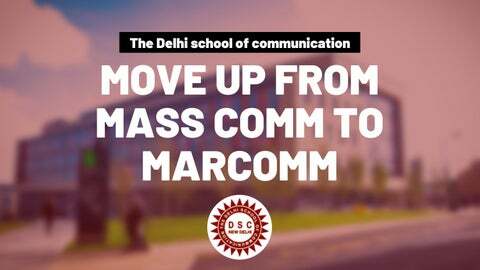 This demands a significant change in the mindset of tomorrowâ&#x20AC;&#x2122;s leaders in industry and communication. Brand Associated A point of reference for various Communication job opportunities in areas such as Advertising, PR, Media Planning, Event, Digital, Content Writing; a place to network and share news, views and opinions! 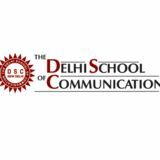 DSC is now officially a Media & Entertainment Skill Council of India (MESC)affiliated partner. MESC has been setup under the National Skills Development Mission, Government of India under the aegis of National Skills Development Corporation (NSDC) and promoted by FICCI.